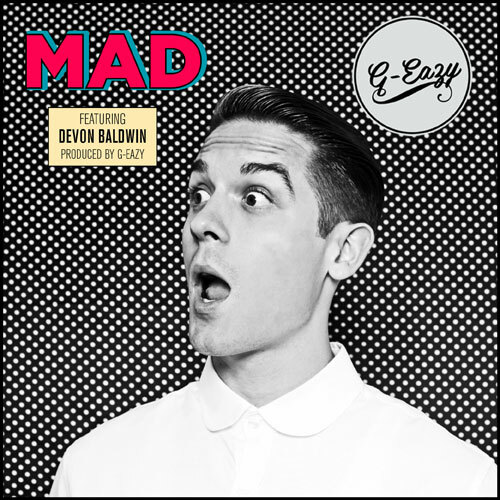 Gerald Earl Gillum (better known as G-Eazy) does it again. His newest single Mad is spreading like wildfire. G started making beats at a young age and put together a small local group in his hometown of Oakland. In 2009, G decided to go solo during his sophomore year at Loyala University. Good decision, indeed. This little doo wop tune was dropped last week, and I’ve had it on repeat ever since. Hell, I’m going to make this a double post in case you missed another one of my favs from him a few months back. It’s got some sick lyrics and a wonderful vocal contribution by Dominique LeJeune. Check them out, fall in love, and hit that replay button.